Carleton University’s Health Sciences Building broke ground in October 2015 and co-locates two rapidly growing university programs. 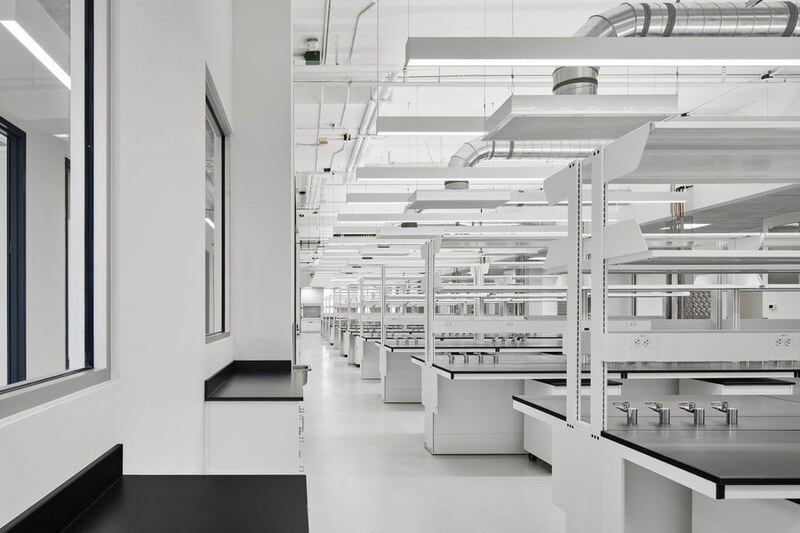 With seven floors divided between the University’s newly formed Health Sciences department and existing Neuroscience Program, the design and layout of the labs, offices and workspace help to encourage and facilitate collaborative interaction between faculty and students. 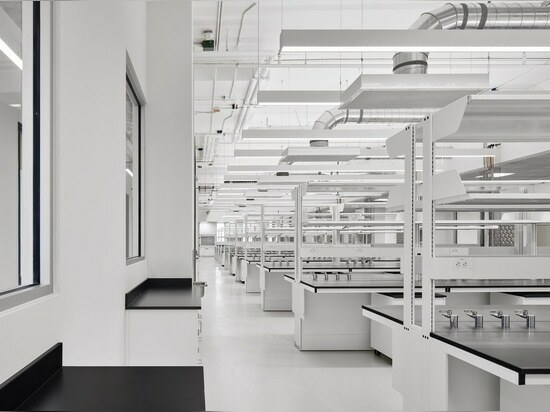 This new-build facility includes modular laboratories for teaching and research, vivarium, electronic and interactive classrooms; four lecture theatres; a student resource centre; informal student study and social spaces; offices and public assembly space. The interior was also designed to allow for future program growth, while accommodating changing research needs.The design of this facility incorporates a scalable utility distribution strategy, stacked in a sidehouse concept, which replaces the traditional penthouse, thereby enabling utilities to feed into the building horizontally. 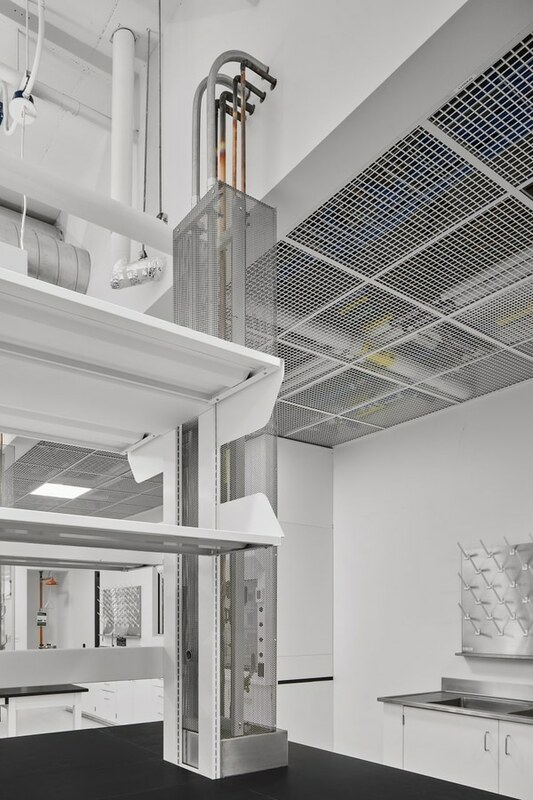 This breakthrough in utility strategies has also allowed the vivarium to be located on an upper level, gaining access to ample natural light while remaining isolated from vibration and noise-producing air handling and related equipment (reciprocating chillers, air handlers, compressors, etc.) thanks to a segregated structure. 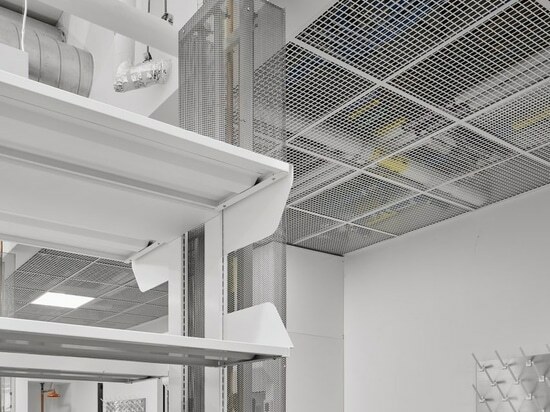 The top floors incorporate a double height sidehouse which stacks the air handlers on top of each other, with internal service stairs and catwalks to provide access to all high-level equipment; while ceiling voids provide access above the vivarium space where required. The sidehouse allows utilities to be right-sized for the program they are supporting, or changed to accommodate new program areas. 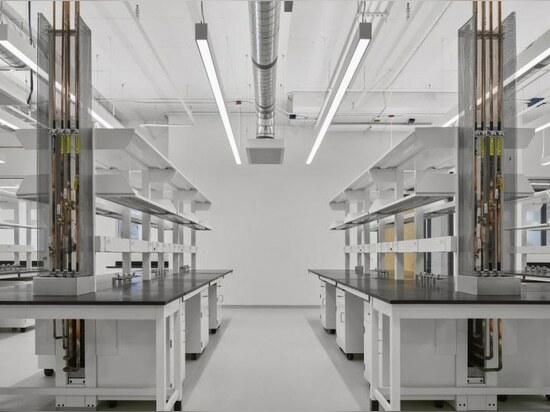 With all of the equipment within the sidehouse the labs, support, offices and open workspaces can connect in a much more dynamic environment. 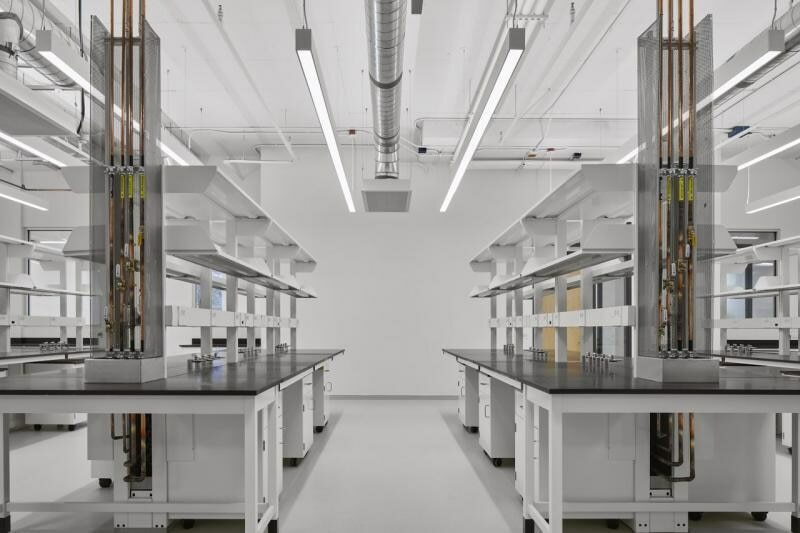 The new Carleton Health Sciences building includes the latest technology in high-quality undergraduate teaching labs, providing greater access to experiential learning opportunities for students while encouraging interdisciplinary collaboration and closer interactions within departments.